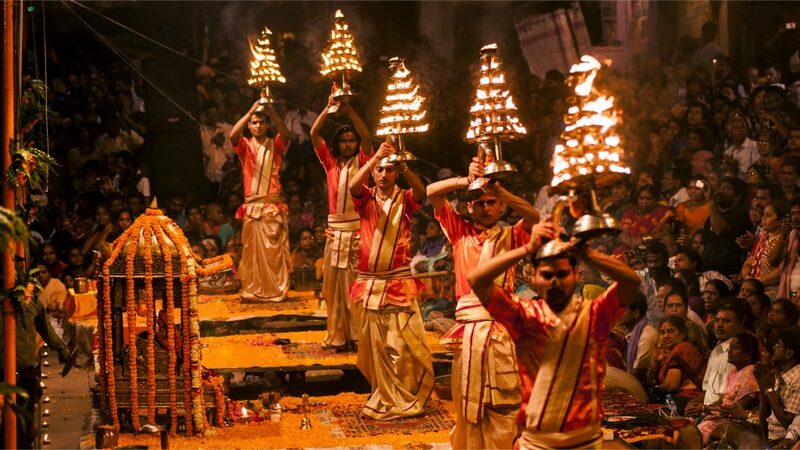 Every year, Varanasi draws thousands of devotees to its pious ghats for worship. One of the downsides, however, is that the ghats remain an unpleasant place for international travellers due to the quantum of debris floating on Ganges, despite efforts by the local authority to clean up the major heritage spots in the area. 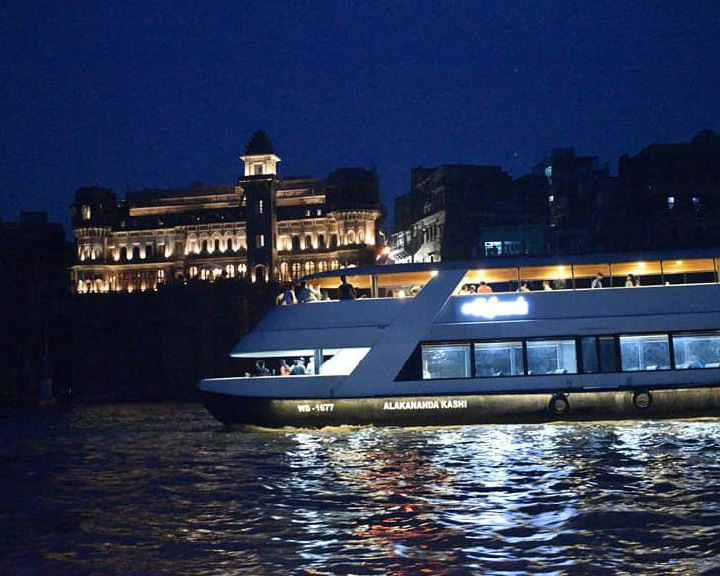 In an effort to draw discerning travellers to witness the sheer enigma of the ghats, the temples, and the evening aartis, the government has introduced a five-star luxury cruise for those who wish to explore its 84 ghats from the Ganges. 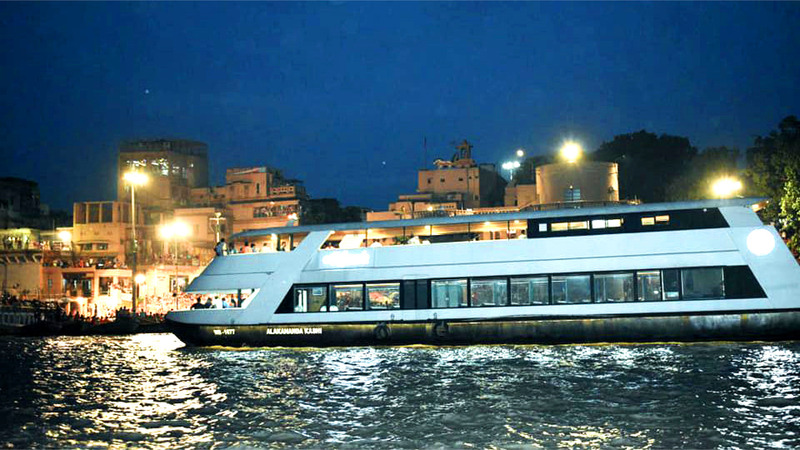 The liner, named Alaknanda, is a double-decker ship managed by Nordic Cruises, with an air-conditioned seating area in the lower level with glass windows to allow a full view of the ghats. On the upper level, there is an open-air restaurant which serves liquor and a specially curated menu. Together, the ship can accommodate up to 100 passengers. The service was inaugurated by Chief Minister Yogi Adityanath at Kirkiya ghat last week. 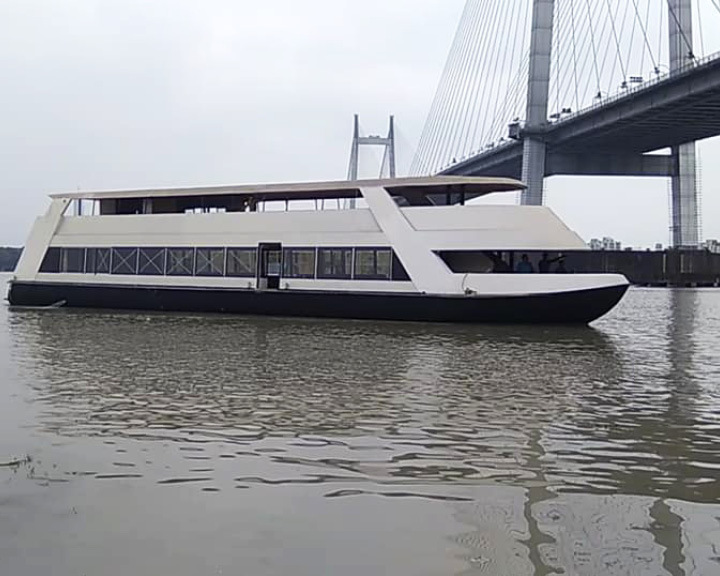 For now, the ship will sail between Assi Ghat and Panchganga Ghat in a 12-kilometre stretch, offering two trips a day to time itself with the morning aarti at Assi Ghat and the evening aarti at Dashashwamedh Ghat. Other important attractions on the cruise include the heritage town of Chunar. The company is looking at offering the ship for private functions and corporate gatherings as well. People willing to shell out INR 75,000 can organise an ornate Rudrabhishek ceremony (performed by 11 Brahmins) onboard the cruise. The cruise tickets have been priced at INR 750 per person. 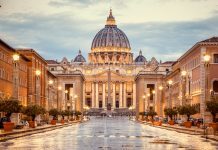 The Vatican Is Unveiling Its Holy Staircase For The First Time In 300 Years!